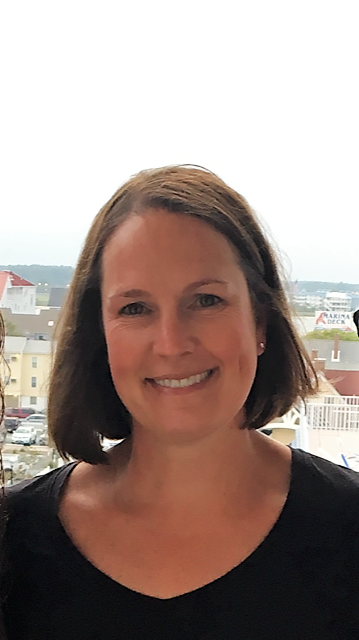 Amy Van Sciver Darst joins St. David’s Episcopal Day School as Assistant Head of School with over 20 years experience in the education field. Amy grew up on the Main Line and attended T/E School District. After graduating from Conestoga High School, Amy pursued her love of teaching at Cabrini University. There she received a dual certificate in both Early Childhood and Elementary Education. She began teaching as a Gifted Math teacher in the T/E School District, and soon moved into a teaching position at New Gulph Children’s Center, in Villanova, where she taught preschoolers for many years. Shortly after, Amy became involved with Practical Strategies, Inc., an Educational Consulting company, where she primarily correlated state standards to educational textbooks. This position grew to support various areas of the United States and soon school districts were contacting her to create the curriculum for their after-school and summer school programs. After spending a few years at home with her two young daughters, Amy returned to teaching. She spent some time at St. Peter’s Preschool, in Malvern, then returned to New Gulph Children’s Center, where she had previously taught. Most recently, Amy was a teacher at Holy Child school at Rosemont. On a more personal note, Amy has a passion for helping rescue animals and has fostered many over the years. She shares her home not only with her husband and two teenage daughters but also with her furry rescues, 3 dogs, and 2 cats.